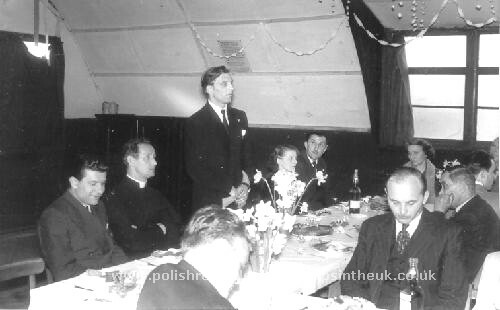 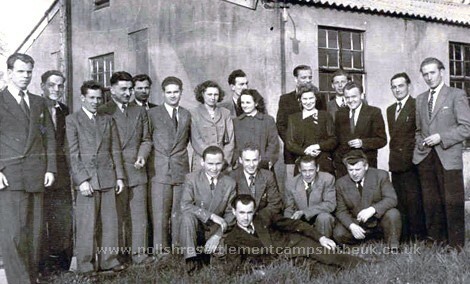 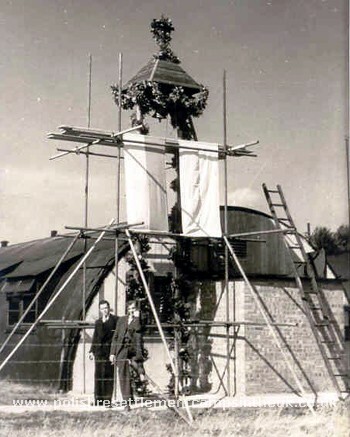 Edward Mleczko came to England as a cadet in 1946 and was demobilised in Hodgemoor camp. 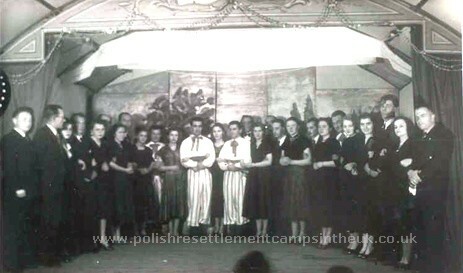 Deported with his mother Katarzyna and younger brother Władysław to Siberia in 1940 Edward Mleczko joined the General Anders army as a young cadet and was sent to Palestine for training. 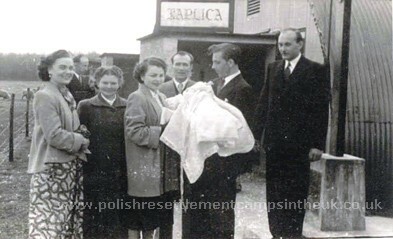 As civilians his mother and brother were sent to one of the displaced persons camps in Africa. 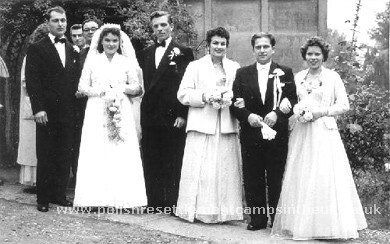 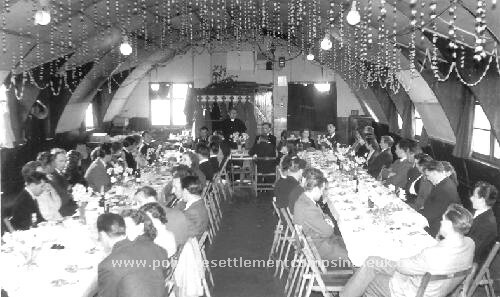 His mother and brother sailed to England on the MV Carnarvon Castel arriving in Southampton on the 28th of June 1948 and were reunited after 8 years of separation.. 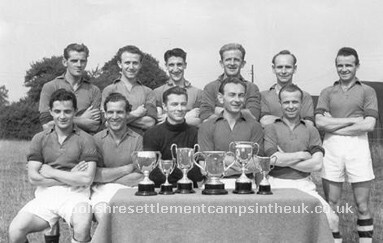 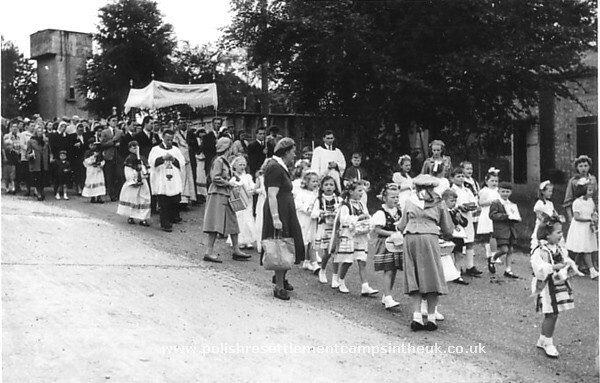 They lived in Hodgemoor camp were Edward became very active as a youth leader, establishing a football team, becoming their manager and wining many trophies. 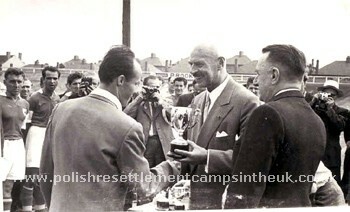 He left the camp in 1961. 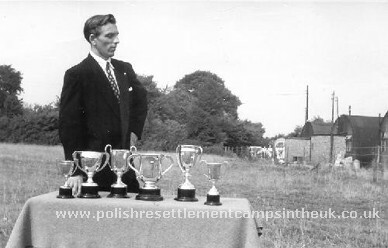 Edward Mleczko club chairman with trophy cups, you can just see the nissen huts that people lived in. 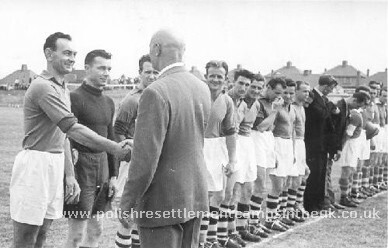 Jerzy Terpiłowski, Henryk Węgrzyk, Józek Kisiel, Henryk Kornas, Henryk Lewandowski, Zygmunt Kozłowski, and chairman of the club Edward Mleczko. 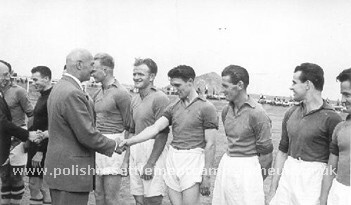 General Anders meeting the team. 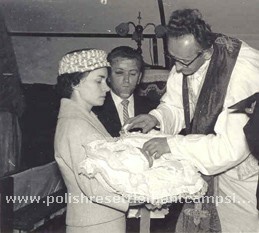 Adam Kułakiewicz, Weronika ?, Jadzia Wasilewska, Edward Mleczko, Gienio Szwetko.